The only real danger in casting Woody Harrelson as your bad guy is that there’s every chance he runs away with the whole movie and we end up rooting for him instead of the apes. The next installment of the pre-boot of the Planet of the Apes—the lengthily titled War for the Planet of the Apes—has nabbed Harrelson to play the human antagonist. 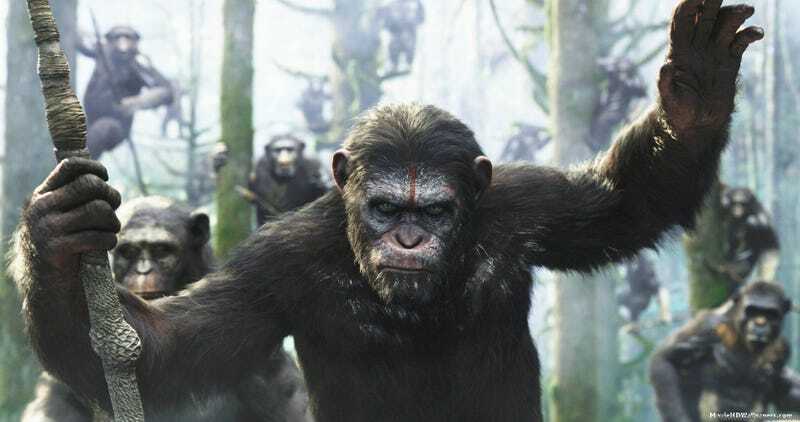 While we know that Dawn of the Planet of the Apes’s director, Matt Reeves, and writer, Mark Bomback, are returning, that’s pretty much all we know. Other than Andy Serkis’ Caesar, the ape center of the films, we don’t know for sure who else from the other movies will show up. All of which makes the fact that Harrelson’s character is called “The Colonel” a little bit ominous. Possibly also hilarious, as any character without a proper name is wont to be. That seems exactly in Harrelson’s wheelhouse.